Orly’s “It All Started With Pink” campaign won this year’s ICMAD Cosmetic Innovator of the Year (CITY) Award for Marketing/Advertising Innovation: Print Ad Marketing. The campaign, which debuted in 2013, pays tribute to Orly founder Jeff Pink. 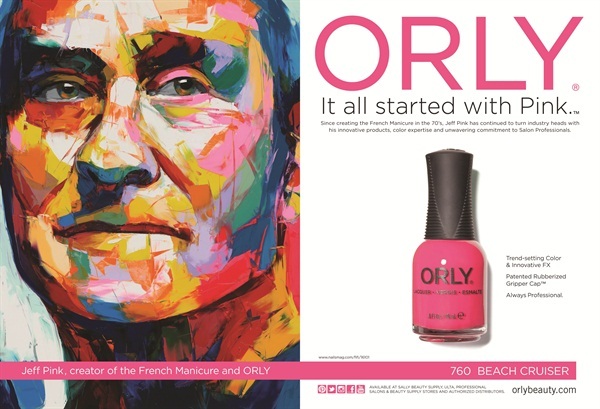 The series of six ads features a portrait of Pink created by French artist Françoise Nielly, who mixed her own pigments to match Orly’s top-selling nail lacquer shades.